I am sharing a card today for CAS(E) this Sketch #114. As soon as I saw the sketch I thought of this die from WPLus9. Kara from K and R Design sent me a few die cuts to play around with. My card today is inspired by THIS card of Kara's. I stamped my background using Hero Arts Leafy Wines cling stamp, one of my all time favourite stamps. The frame is popped up with foam tape. I am also submitting this to the Stamplorations Anything Goes Challenge. This is gorgeous Tracey!! I love the bold black against the soft stamped background!! Wow! This is stunning!! I love the black on such a soft background and the sentiment is lovely! I remember seeing this die at Kara's, too, and loved it also. It is just beautiful to frame up a lovely quote like yours. Nicely done, Tracey! Beautiful use of that HA Leafy Vines and dies! 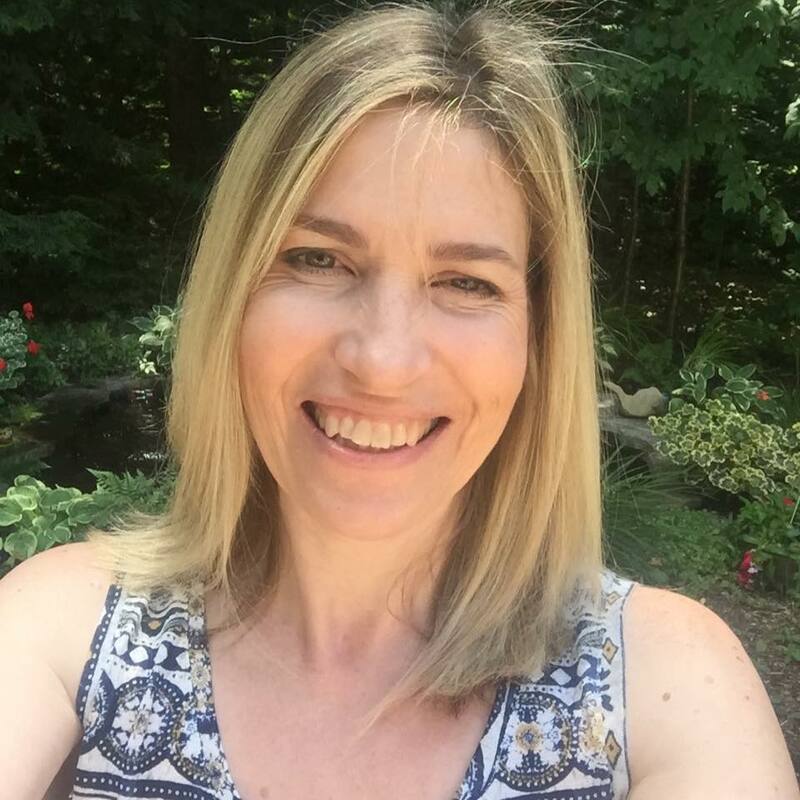 Very striking, Tracey! Oh I love this soft, subtle background Tracey. It's gorgeous. Oh, this is gorgeous, Tracey! What a perfect diecut to use with the sketch! Oh is that ever gorgeous!! Great way to CASE Kara's card, and your sentiment and background stamp are beautiful! Oh Wow Tracey this is magical. I love your Design. Pinning now. A beautiful card and sentiment. An awesome card Tracey :) Very elegant. 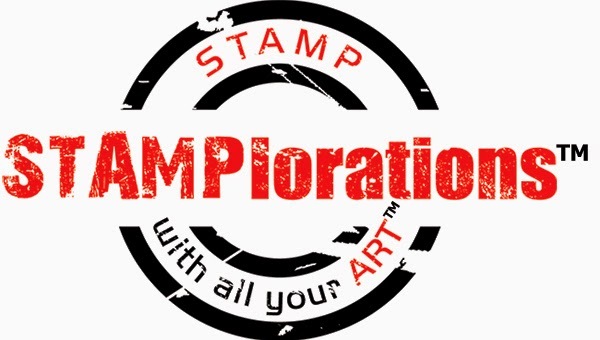 I love the subtle stamping of the Leafy Vines image (and it IS a lovely stamp!) - not enough to detract from the main features of the card (the frame, butterfly diecuts and sentiment). The popped up frame gives it the "wow" factor too! Oh, my! Everything on this card is so gorgeous, Tracey! So beautiful and elegant! 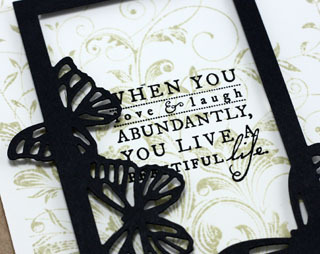 Love the background, black frame with butterflies and wonderful sentiment...so pretty!!! Wow Tracey, this is gorgeous! Love the black against your pretty stamped background, beautiful movement! Gorgeous card, Tracey! Love the bold bkack frame and butterflies! Really gorgeous card, Tracey! I love the contrast of the subtle background with the black frame and butterflies...so striking! Fabulous sentiment, too! beautiful!! great choice of stamps to accompany this die cut frame! I have to agree with Bev, this is breath taking! What a gorgeous card, so classy and very elegant too. 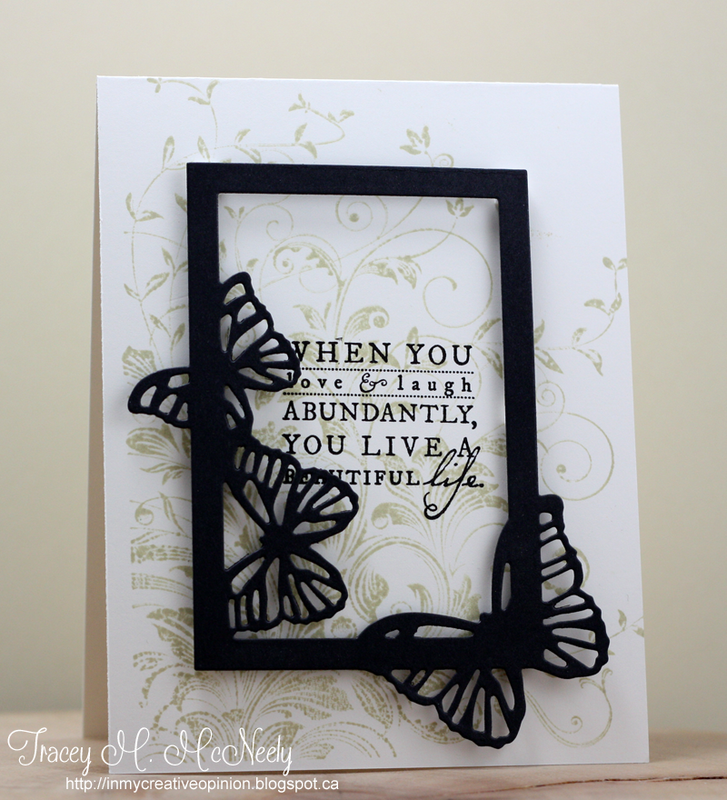 Love the frame and butterflies done in black! They look gorgeous and very striking against your pretty floral background! Yours looks so serious and striking Tracey. So elegant and formal! Such a pretty card! I love the placement of the butterflies! So gorgeous! LOVING the butterflies!!! I had to check if I commented on this beauty, must have been on Fb. This is stunning Tracey! So elegant, Tracey! Love the bold black die cut against your soft, stamped background! Just stunning! Catching up on your gallery of stunning creations, because, having just arrived home from visiting my mom the past 10 days, I seriously need some cheering up! Your cards ARE the perfect remedy! This card: breath-taking and jaw-dropping stunning! The butterflies, the frame, the background...major swoon-inducing. Love this x a zillion!